Concert Buddies: If you don’t have one, GET ONE! 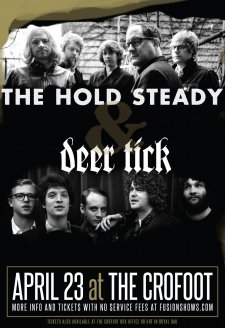 One of my favorite bands, The Hold Steady, played at Pontiac’s Crofoot Ballroom Wednesday night. I discovered “the best bar band in America” by a total fluke a couple of years ago: I saw a few of their CDs in the library stacks, remembered I’d read something positive about them in Rolling Stone, and decided to give them a try, then fell hard for their storytelling and muscular musicianship. They have a new album – Teeth Dreams – hence the tour. The band playing in this area for the first time in five years was a cause for great celebration, but more than a little sadness. Seeing this band in concert has been a cultural Great White Whale for my older daughter and me: long pursued but always just out of reach. Now they were here and she was not, since she is in college in New York (only a subway ride away from Brooklyn, the band’s home base, I might add). But you know what the real problem here is? I’m an adult. So are my friends. We have to plan ahead. We have to commute and work a full schedule and see to the kids and get up early the next morning. After running around all day, the prospect of standing for four hours in a half-inch of beer to be crushed by knuckleheads pushing toward the stage isn’t a really a draw, even if you are a stone-cold fan. So I went by myself to see The Hold Steady. It was just me and 500 fellow tribesmen. Tribesmen is an accurate term. The typical Hold Steady fan seems to be between 28-45, male, Caucasian, dark-haired and wearing button-up granddad shirts: the exact description of Craig Finn, the lead singer. Finn looks like your sophomore English teacher, lurches across the stage with an endearing lack of coordination, and speak/sings these weirdly literate stories about burned-out losers searching for love and hope. Before they started their set, Finn explained why they were down to four pieces: their newly hired guitarist Steve Selvidge had to leave the tour to be with his wife and new baby, who came a few weeks early (musicians are adults with adult issues, too). Then they launched into a two-hour, gloriously rich performance. As the evening wound down after midnight, Finn thanked the audience. “You had a million other things you could do tonight but you chose to come to a rock-and-roll show,” he said. “You came here to be with people who all like the same thing. 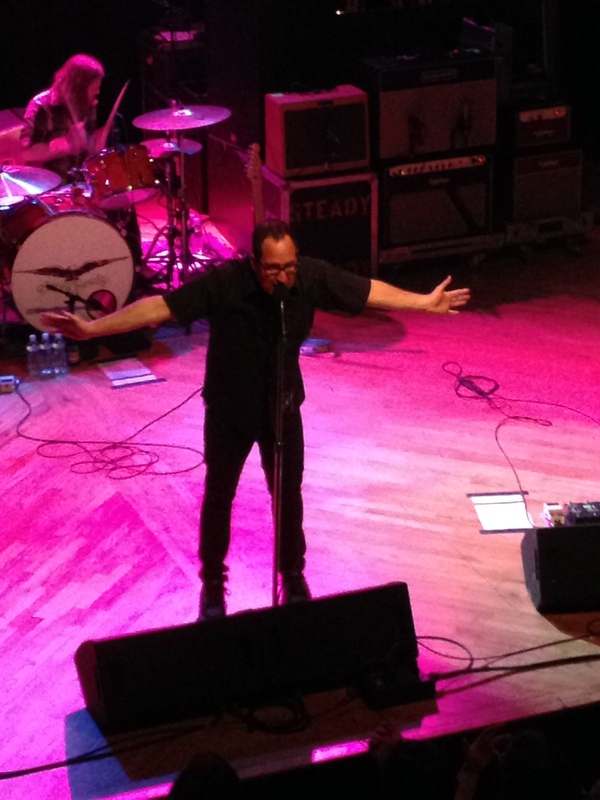 These days, that’s really important.” Then as the final song wrapped, he introduced the members of the band then pointed out to the audience, “And you, you, you, YOU – we are ALL The Hold Steady!” We all cheered in tribal solidarity and the show was over. It was freakin’ amazing! You have to take my word for it … since you weren’t there. So next time, who’s with me? Before you go, another shout-out to those who have bought my first novel, Love and Other B-Sides! If you haven’t yet, it’s not too late to be cool like they are – download it today! My older daughter has now completed high school. It’s all over except for picking up the diploma, grazing the buffet at a dozen grad parties, and forcing us to take the “Congratulations Class of 2013!” sign off our lawn before she ships off to college in the fall. There’s a sense of coming full circle this evening. 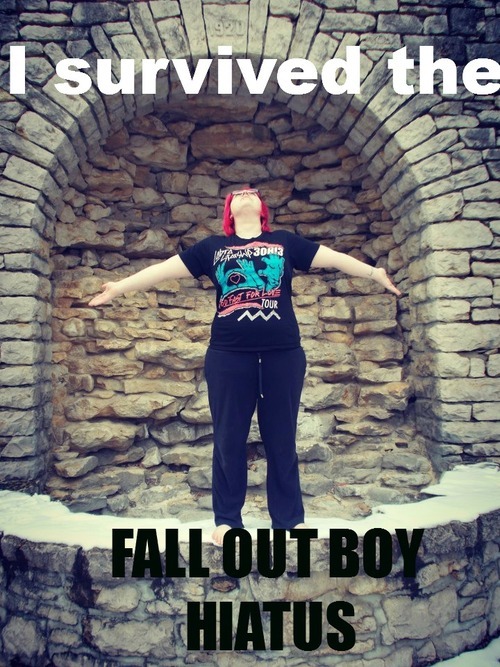 I took the older one to see Fall Out Boy at the Palace five years ago, which was her first rock concert, too. What’s more, just a week ago the two of us were at the Majestic to see our favorite band, The Airborne Toxic Event. TATE will always have a special place in my heart because my daughter and I discovered them together. We’ve seen them three times; we have their three albums plus their contributions to tribute discs for Bob Dylan and The Muppets. I’ve seen them enough to know the band members’ names and stage personalities. This time around they had more tattoos and a different set of covers for their encore (including a medley of “Ring of Fire,” “American Girl” and “Born in the USA” … can’t get more genuinely American than that). It was only fitting that at last, I was able to nab a stage souvenir for my daughter. I grabbed the guitar pick that had bounced off a drunken fan and hit the floor. It’s a fitting memento of our concert-going history, one she can easily pack and take with her to her dorm in a few short weeks. Now, the real work begins: turning my younger daughter into my next concert buddy. P.S. The girls came home safely, the younger one has her first tour t-shirt and they witnessed a drunken catfight — all and all, an awesome evening!